1 Disc Blu-ray (Distributor: Arrow Academy) Running Time: 65 minutes approx. It’s become something of a cliché to find some way of making a Hitchcock comparison or reference when discussing any mystery or suspense thriller from the 1940’s but the fact remains, there are occasions when watching such a film that one wonders “What would Hitchcock have done with this story?”. A case in point is this brisk, taut B-movie noir from 1945, directed by Joseph H. Lewis and based on the novel The Woman In Red by Anthony Gilbert, which boasts a plot that we know Hitch would have had a field day with. It begins with the eponymous Julia Ross (Nina Foch), recently jilted, behind on the rent and looking for work. She responds to an ad from the Allison Employment Agency for a live-in secretary to elderly widow Mrs. Hughes (Dame May Whitty) and is offered the job. Julia arrives at the address given to her, greeted by Mrs. Hughes’ son, Ralph (George Macready). Julia goes to sleep that night, waking two days later but not at the London house but in mansion in Cornwall, and is addressed by the maid Alice (Queenie Leonard) as Mrs. Hughes. Confusing things further, Mrs. Hughes and Ralph insist Julia is Marion, Ralph’s wife and they refuse to let her out of the house. This all takes place within the first eight minutes of the film but with a run time of just 65 minutes, there is no room for messing about. In fact, the first red flag is raised when a man (Leonard Mudie) is seen lurking behind a door during Julia’s interview with Mrs. Hughes, and is asked if he was seen after she left. We could assume they are just a bunch of eccentrics or maybe the man was simply shy but not all ambiguity is for the better. With the need for a job and no family or romantic ties, having been jilted by former love Dennis Bruce (Roland Varno), conveniently returning to the boarding house after an aborted wedding, Julia has no reason to suspect the Hughes family of anything either. As much as we have been led to think differently, we hope this is the fresh start for Julia needs. One interesting fact of the story is how Julia is a victim of some subterfuge or external interference that blights every beacon of hope for her – to wit: the overdue rent money and farewell letter with forwarding address to her landlady Mrs. Mackie (Doris Lloyd) is left with slatternly cleaner Bertha (Joy Harington), who destroys the letter and pockets the money. It’s a simple foreshadowing of the plight Julia will face in her bid to escape the Hughes’ Cornwall estate but one I doubt many people will pick up on. In other words, Julia seems fated regardless of her situation, and in true sympathetic fashion as the protagonist, she doesn’t deserve it either. But this ensures the audience is firmly on Julia’s side and each near miss she incurs when trying to secure her freedom is nail bitingly painful for us too. Perhaps the main conceit is that the Hughes family could have chosen anybody and Julia was simply unlucky enough to answer the ad, which is all part of the plan. But what is the plan? 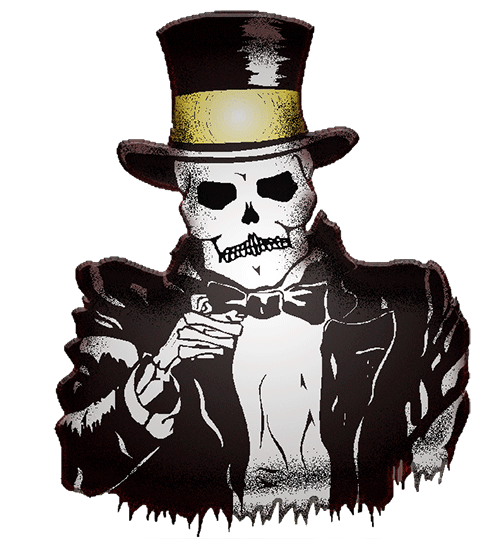 Why go to all this trouble to find someone a wife if that is the motive here? Even in this day and age of Tinder and social media this seems a bit extreme, not to mention creepy, so there must be a sinister rationale behind this. That we learn Ralph is a bit of a hot head potential psychopath with a penchant for sharp objects his mother has to keep confiscating from him beneath his otherwise affable exterior makes whatever fate Julia is facing all the more terrifying. Even scarier is how Mrs. Hughes is the apparent driving force in a proto-Norman Bates-esque type mother-son relationship whilst being so convincingly natural in her convivial approach to Julia. What ensues is a game of mental chess between captive and captors one Julia realises what she is up against and the lengths the Hughes’ family and their staff will go to in thwarting her very escape plan. Joseph H. Lewis plays a smart hand in keeping the audience in the dark where necessary to ensure continued surprises when things start to look predictable, whilst some twists are hidden in plain sight to increase tension in how far Julia’s plan will succeed. Aesthetically, the favoured tricks of the noir genre are employed to enhance the mood and mystery of a scene, with the occasional nod to classic horror via the use of shadows with one shot lifted from F.W Murnau’s Nosferatu almost wholesale. This new HD transfer enhances the atmospheric visuals and breathes new life into the subtle gothic veneer of Julia’s bedroom prison. Nina Foch was only a couple of years into her acting career yet carries herself with the poise and confidence of a seasoned veteran tasked with carrying a film. She plays Julia as a strong woman rather than a helpless victim, adding credibility to the role. Ralph is a bipolar character yet George Macready is only given half a chance to explore both sides of his personality, proving more adept at the darker side, but it is Dame May Whitty in a villainous role that is both the biggest and most rewarding surprise. Lewis crams a lot into the 65 minutes and it works well as nifty little sprint but the story clearly needs more room to breathe, which is exposed by being 98% build up before a mad dash to the climax in the final two minutes. That is not to say it isn’t a tense finale that keeps us guessing but its rushed nature pushes it close to seeming bathetic. 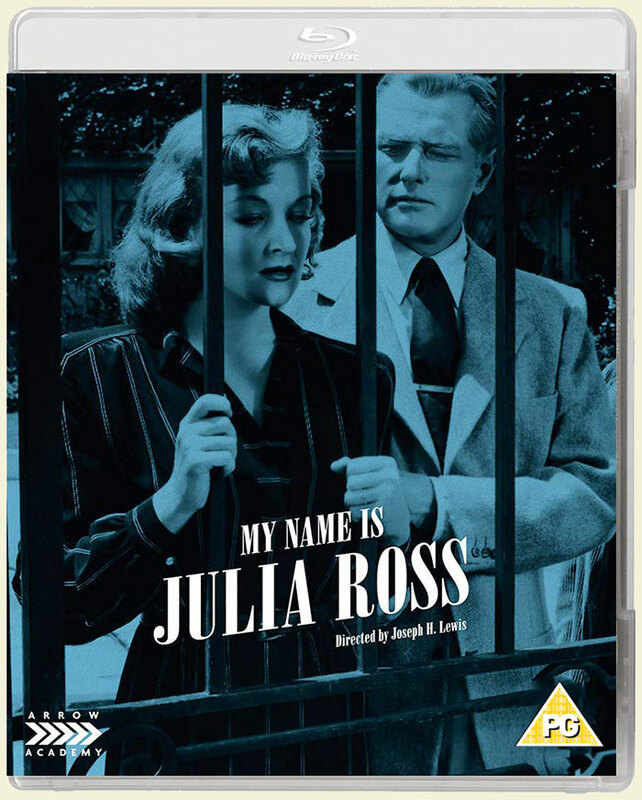 Despite this My Name Is Julia Ross stands as a criminally overlooked, smartly written slice of suspenseful noir and this new Blu-ray reissue should see its stock rise.